GOOD MORNING my sweet friends & welcome to another "Weird Holiday!" For those of you who are new to my blog, there IS such a thing as a Weird Holiday Calendar! lol..... I just learned of this last year! I had NO IDEA! You can see it HERE. Good Morning Miss Emma....OOOOO LA LA What a Classy and Sweet Card!! 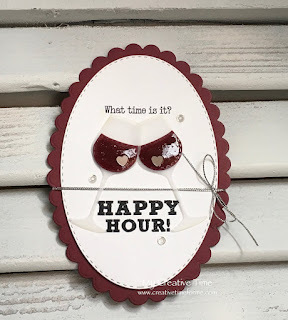 Love your ideas for your "Happy Hour" Theme of things!! Your Glasses of Wine turned out so Magnificent....looks so real....you really, REALLY did a Super Outstanding Creative job!! 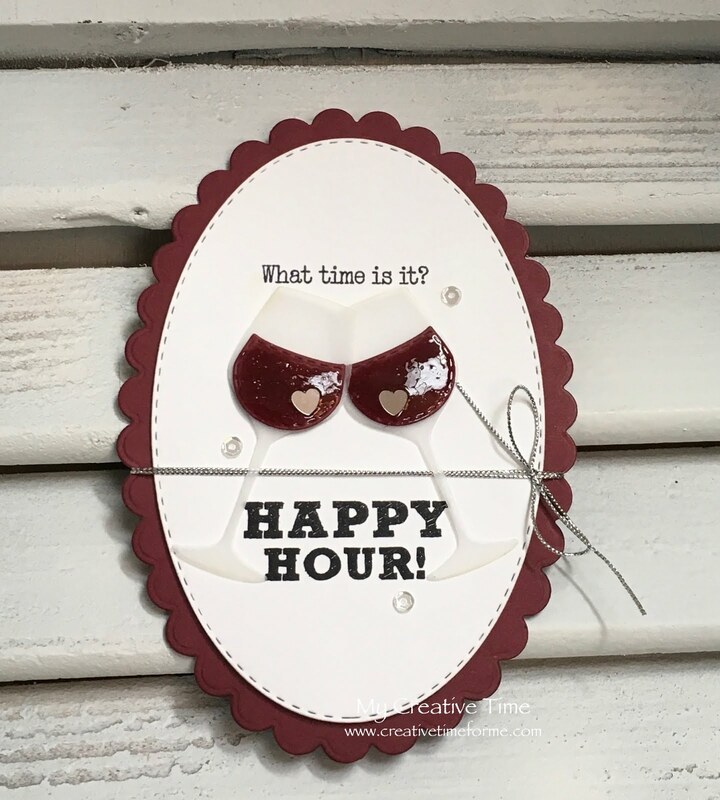 Great embellishing ideas....you are just ever so clever and whole lot creative thanks for sharing more Fab ways to use your Awesome goodies. 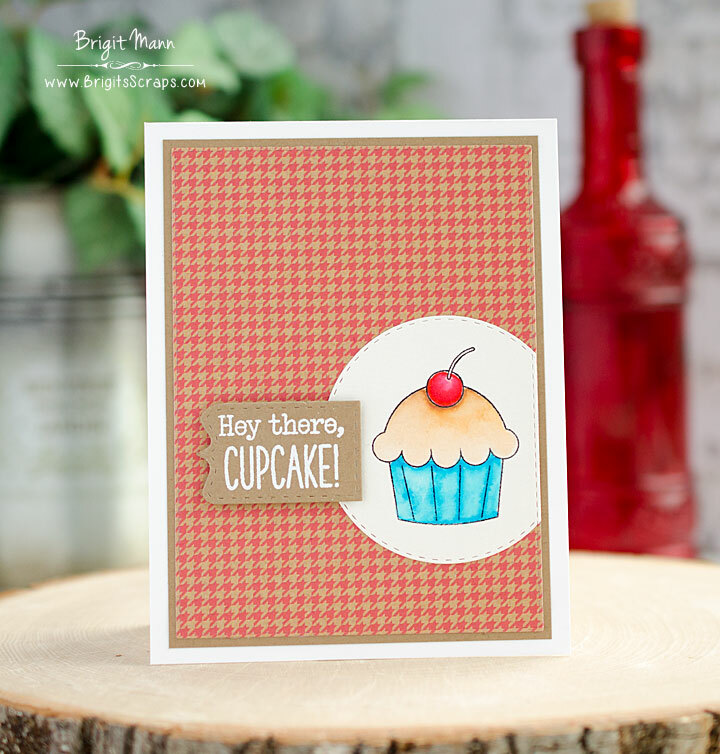 Here's to a Tremendously Terrific Tuesday packed with lots of Craftabulous play!! YOU so ROCK!! 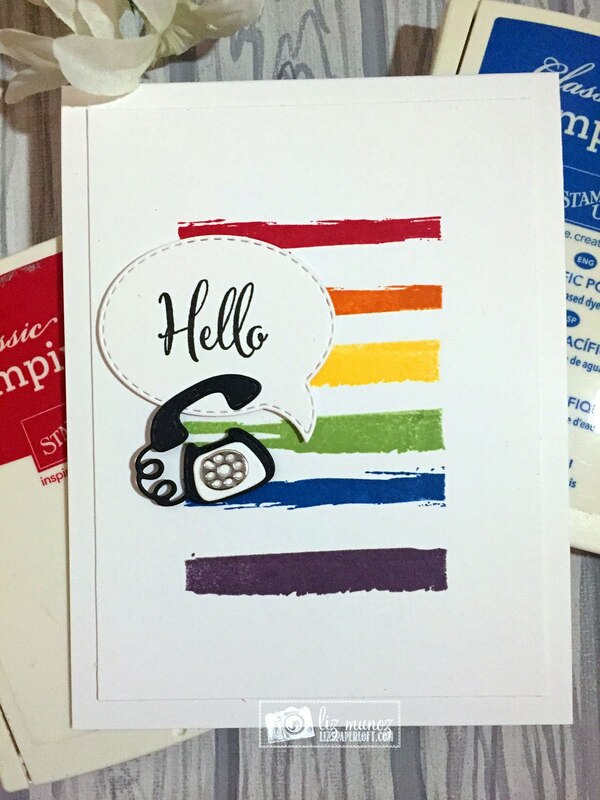 Cute card!! Love the wine glasses! 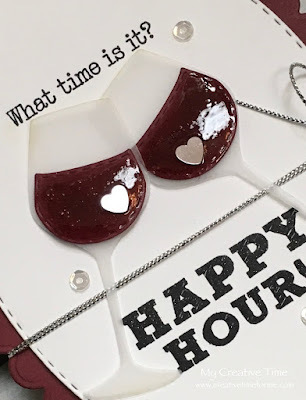 LOVE the wine glasses! That's so neat! And super cute projects from the DT!